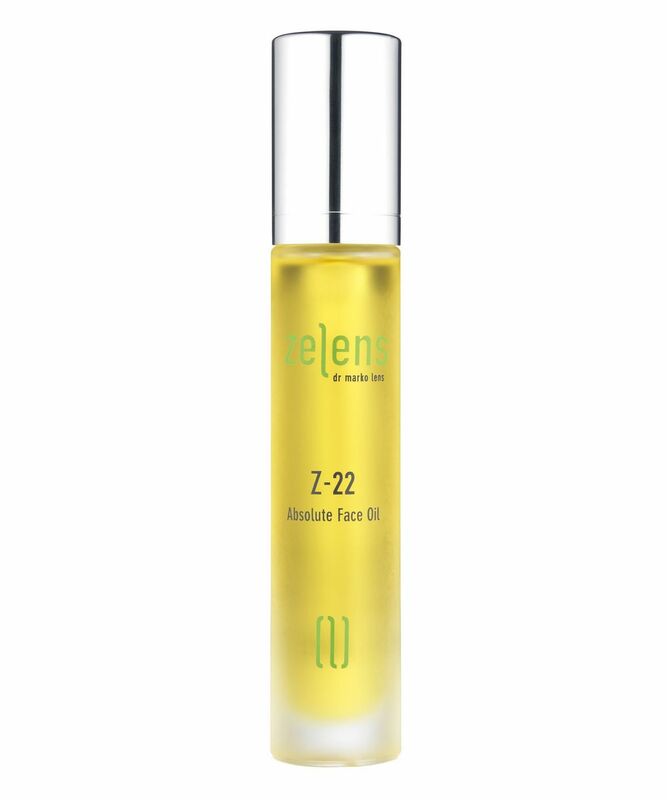 ‘Zelens’ omega-packed Z-22 facial oil is like a warm hug for your skin… if that hug were made of cashmere, unicorn magic and love. Apply sparingly under your moisturiser for plump, glowing and soothed skin. "My acne-prone combo complexion loves it, and that in itself is a miracle" writes one half of Guardian’s SuperGoop – a beauty duo not known for sprinkling their praise liberally. A blend of 22 precious oils, carefully selected for their distinctive skin-restorative properties – from Basil and Bergamot to Rosehip Seed and Rosemary – this lightweight formula reinforces the skin’s natural barrier whilst providing an extra layer of moisture to plump, smooth and strengthen all skin types. 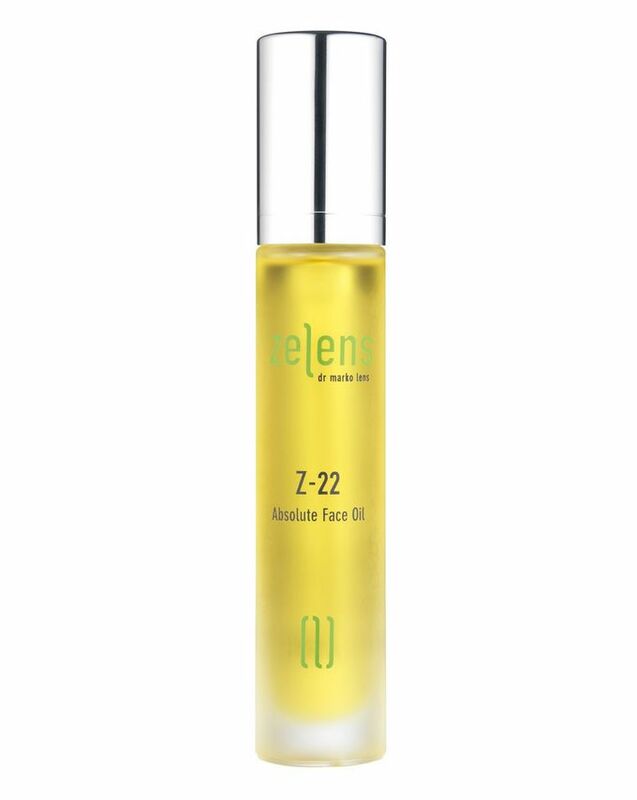 At the cutting edge of high-performance, anti-ageing skin care, Zelens products combine breakthrough active biotechnology ingredients with a unique blend of plant-derived molecules, to deliver proven, visible results. The brainchild of expert Dr. Marko Lens – a leading plastic surgeon and internationally renowned authority in the field of skin ageing and skin cancer – each and every Zelens product is rigorously trialled and tested, until the exact balance and synergistic action of ingredients is established to trigger the cellular processes responsible for regeneration and repair. Hailed as a ‘new dimension in skin perfection’, each product is brimming with potent botanical extracts… and completely free from false promises. Perilla Frutescens Seed Oil, Oryza Sativa (Rice) Germ/Bran Oil, Camellia Oleifera Seed Oil, Squalane, Cetearyl Ethylhexanoate, Caprylic/Capric Triglyceride, Isopropyl Myristate, Rosa Canna Fruit Oil, Vitis Vinifera (Grape) Seed Oil, Citrus Aurantium Bergamia Peel Oil, Parfum (Fragrance), Tocopherol, Citrus Limon Peel Oil, Citrus Aurantium Leaf Oil, Litsea Cubeba Fruit Oil, Citrus Aurantium Peel Oil Distilled, Cymbopogon Citratus Leaf Oil, Elettaria Cardomomum Seed Oil, Lavandula Angustifolia Herb Oil, Rosmarinus Officinalis Leaf Oil, Pinus Pinaster Twig Leaf Oil, Pelargonium Graveolens Leaf Oil, Rosa Centifolia Flower Oil, Camellia Sinensis Leaf Extract, Citrus Aurantium Peel Oil Expressed, Citrus Aurantium Amara Flower Extract, Jasminum Officinale Flower Oil, Cistus Ladaniferus Leaf Oil, Ocimum Basilcum Herb Oil, Limonene, Linalool, Citral, Geraniol, Citronellol. A very nice oil and always left my skin soft and fresh after use. I did however only use it at night as it was very oily, too much so for day time use and applying make up over the top. A little did go a long way so it was good value for money. I finished Artemis from Sunday Riley and I was searching for something not so smelly but as effective as that and I found it! This oil is very thin and runny, it goes on smoothly and the skin can absorb it very quickly so there is no oiliness but only a good glow. It smells of oils and good stuff but the scent is not overwhelming. I would happily repurchase. I treated myself and finally bought it as a present for my birthday (of course it was a HUUUUGE order from Cult Beauty). I am 30 now and this oil is perfect for my combination/oily skin: I love the smell, oil itself sinks into the skin very fast and doesn't leave sticky feeling. I prefer to use it at night when I can lather my skin with extra nourishing night cream. Overall what I can say, this is good product and nice value for your money (I bought it in November and now it's June and I still have some bits left). I love this oil so much. I have several in rotation yet I find myself choosing the Z-22 most days. It's fantastic under moisturiser and makeup in the day, it is not greasy and gives a dewy glow. I find it ideal after both acids and retinoids, which can both make my my skin a little tender for the first couple of hours. The scent is not overpowering and is absolutely gorgeous. My favourite scented skincare product to date actually, too much scent can irritate my skin so this is perfectly balanced for me. Loved this oil. Not too rich, smells wonderful and my skin feels soft and clear the next day. We'll be a repeat purchase for sure. I was in love with Sunday Riley's Juno when I bought this. I only bought it because I travel overseas for work every month, and Juno does not travel well. This unbelievably brilliant oil not only travels easily with no leakage, but it also improved my skin tone in every possible way: It gives a wonderful youthful glow, helps to fade my sun spots and scars, helps to even out my skin tone, nukes open pores and fine lines, and peels off dead dull skin. It also keeps my T-zone oil free all day! Now I love it maybe even a little more than Juno. When traveling I use it morning and night. I receive so many compliments, and so many colleagues ask have I had work done, and do not believe me when I say no! I recommend this oil for those with maturing skins like mine (I'm 43), as you get immediate gratification + significant long term benefits. I also highly recommend it to those in their 20's or 30's who simply want perfect glowing skin. Smells like fish oil, not absorbing quickly as other oils - stays oily for hours on the skin. The first few times I used this oil, I loved it as I woke up with a glow, and my skin felt soft and supple However, after about 2 weeks of continuous use, with this being the only new product in my routine, I noticed increasing congestion on my cheeks with lots of new whiteheads. The other disadvantage I noted is that it tends to make anything I use underneath pile if I apply it too soon. Im not a big fan of oils, but this is one oil that I will continue to use. It hydrates the skin but does not feel sticky like some heavier oils. After about two weeks of continuous use, my skin has become smoother and blemishes have been reduced. Some people have commented that I look really 'fresh' or 'healthy' and I can attribute that glowy complexion to this oil.